Have I mentioned before how fantastic it is to be a grandmother? Well it is truly fantastic in many ways. One way in particular is the gift of sharing favorite old stories and finding new ones. 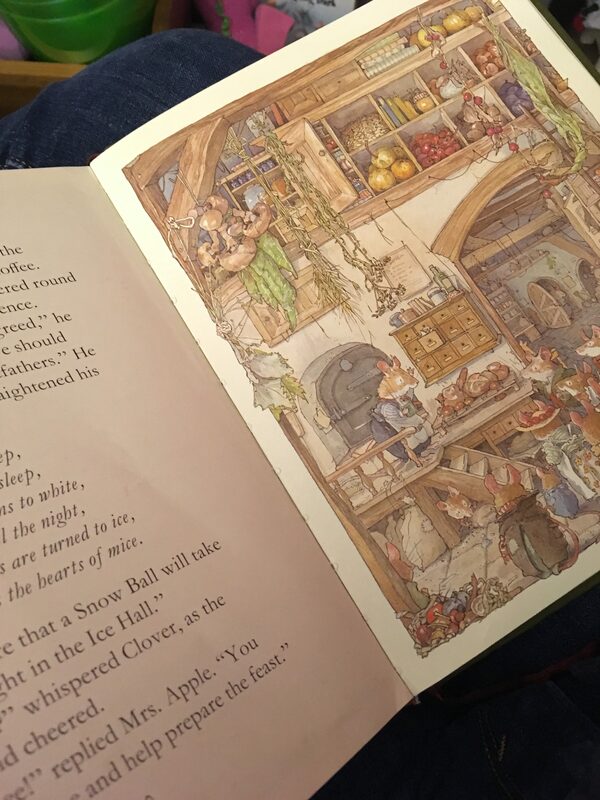 This month I introduced my 4 year old grand daughter to two old favorites, James Herriot’s Animal Stories and also, Brambly Hedge. Those are two books I delighted in reading to my kids when they were young. And it is a treat to share these stories with Miss Joyness. Now, of course not all my reading is of the children’s book genre. But sometimes I wonder if it isn’t better to stay on that side of the library! In March I began listening to A Walk In the Woods: Rediscovering America on the Appalachian Trail by Bill Bryson. Just last week I actually returned the book to Audible (did you know that you can do that? You can.). 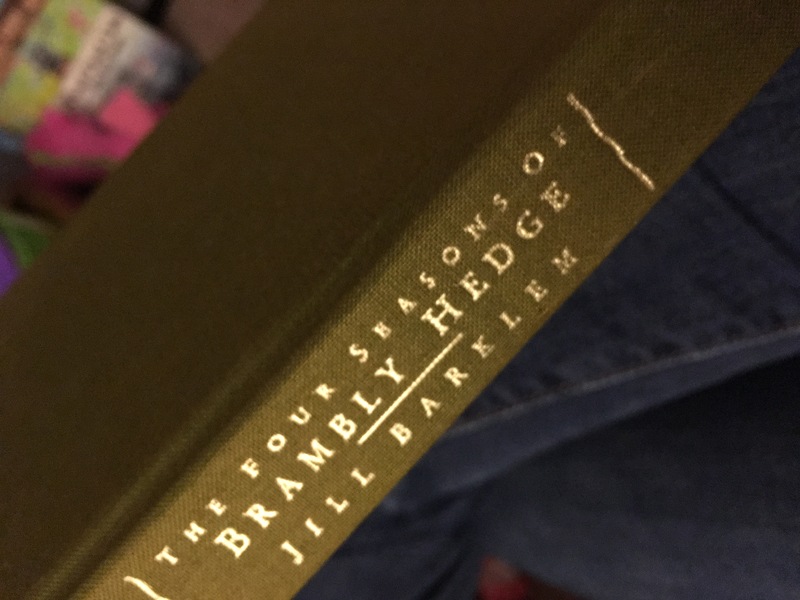 There is coarse language throughout the book, and after the chapter with the laundry mat lady I realized that I am not the audience for this book. And as soon as I made the decision that I could stop listening to A Walk in the Woods, Tsh Oxenreider’s new book was next in the queue. At Home in the World by Tsh Oxenreider is a travel memoir, and I am loving the descriptions of the places and people. I love that people are as much a part of her family’s world travels as the places they visited. Crazy Love by Francis Chan is on my kindle app and I am slowly reading this book while waiting in various lines and offices. Everyone Brave is Forgiven by Chris Cleave is the impulse buy when I visited Powell Books in Portland over spring break. The book is not holding my attention, but I am not going to abandon it. Ruthless Grace by Brennan Manning was mentioned by my mentor recently and I found it at the library. Brennan Manning has a way of sharing his life with Christ that breaks it down in ways that I relate so well. His books are always slow reads, as I like to roll his words around and hold them up to the Gospel. I think it is really good to get outside the Christian vocabulary, and really have to think through what is said. For example in the first few chapters of this book I have been challenged with the idea that the need for clarity from God is a holdout from trust. 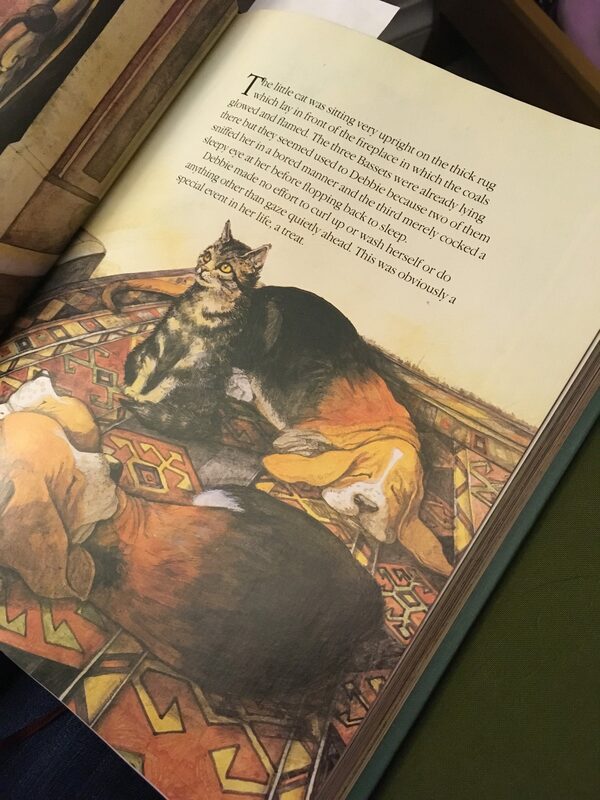 Reading in April has been a delightful return to some favorites for bedtime reading with my grand daughter when I get the opportunity. It has also be a month of unfinished reading. And I am good with that.